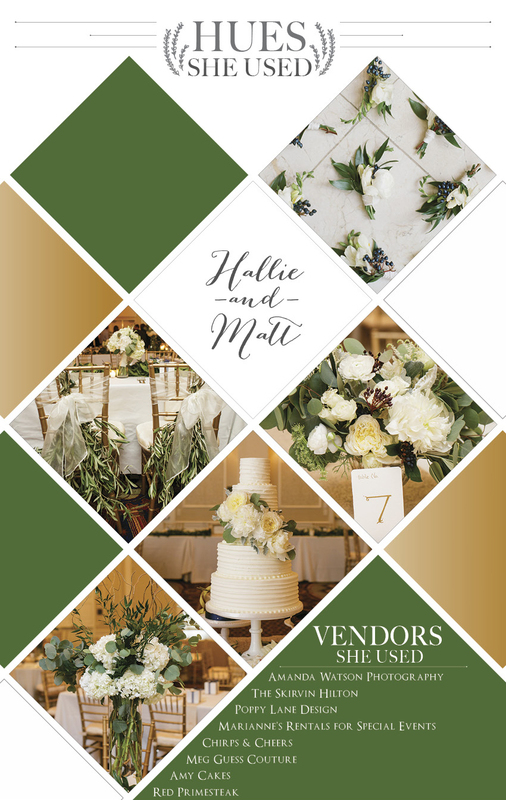 When it comes to Green and White wedding inspiration we are seriously so in love with Hallie and Matt’s green, white and gold soiree at the Skirvin Hilton! The organic florals pair surprisingly well with the elegance of the hotel when used in the two tones with gold accents. Add adorable bridesmaid attire and delicious desserts and you’re set! See more wedding inspiration on our Wedding Inspiration gallery.